You can also find our products at : Generation Green at the Forks (Winnipeg MB), Perceptive Health (Duncan BC, Campbell River BC), Amanda Jay Vegan Boutique (Coutenay BC). Just the Goods is founded on the belief that every day indulgences shouldn’t cost the earth or our health. Granted Champion status by the Campaign for Safe Cosmetics, Just the Goods demonstrates that it is both possible and affordable to look and feel great without unnecessary exposure to petrochemicals, parabens, sulfates, phthalates, and artificial fragrances, dyes, and flavours. 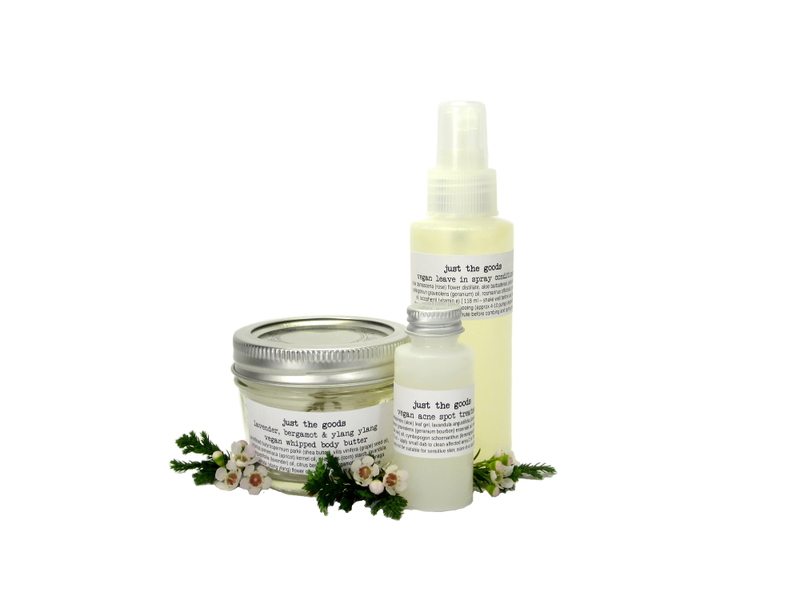 Everything I handcraft features vegan plant and mineral based ingredients… “just the goods” and nothing else. A growing number of products are now EWG VERIFIED. Just the Goods is certified cruelty-free by the Leaping Bunny Program, and is an official business partner of Humane Society International. 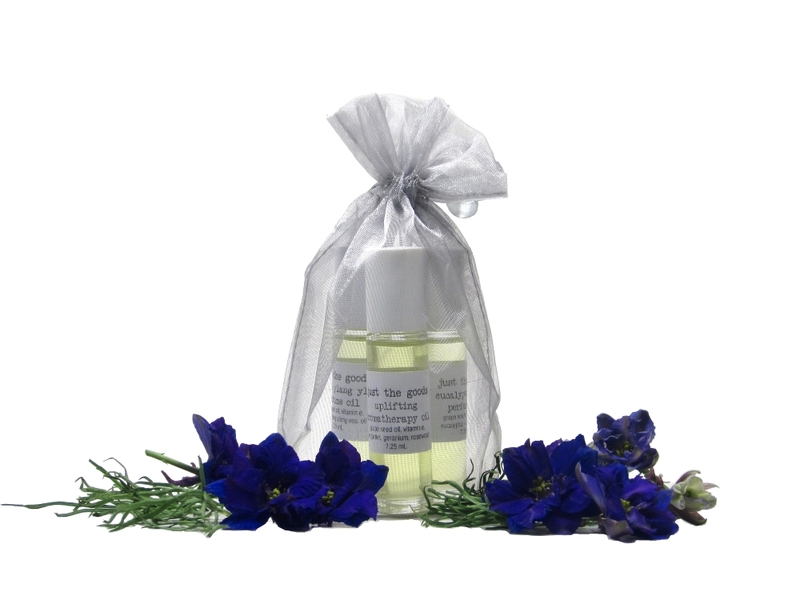 Apart from handmaking safe and effective grooming products for the face and body, oral care, and hair care, Just the Goods operates with a somewhat unique approach to business. I am motivated by an interest in physical, social, and environmental health, but I’m also conscious of the branding practices that cause many natural skin care products to be priced beyond reach. Just the Goods therefore seeks to build bridges between “natural” and “affordable” by carefully selecting affordable plant and mineral based ingredients (choosing organic whenever possible), and operating with the lowest overhead I can manage. For example, I use simple packaging and laser jet printed labels, which have the added benefit of being gender neutral/not editorializing personal lifestyle choices for broader, non-judgmental appeal. For more information about my packaging practices, please click here. I also maintain low overhead costs by doing everything myself from ingredient research and product development, to handmaking, to sales and distribution. Another unique aspect concerning the accessibility of Just the Goods is that I facilitate varying price points. Those who choose to order from me directly access public wholesale pricing, whereas retailers who carry my products increase prices at their discretion to cover for the costs and conveniences associated with visiting their bricks and mortar shops. Just the Goods therefore offers the lowest prices possible every single day, which is convenient for customers because they never have to worry about waiting for a sale. This also means that I never inflate the price of products to offset the cost of shipping. I always charge the real cost of shipping so prices are honest, transparent and fair, whether you live in Winnipeg and are picking up an order in person, or whether you live on the other side of the world. For more information about my shipping practices, please click here. 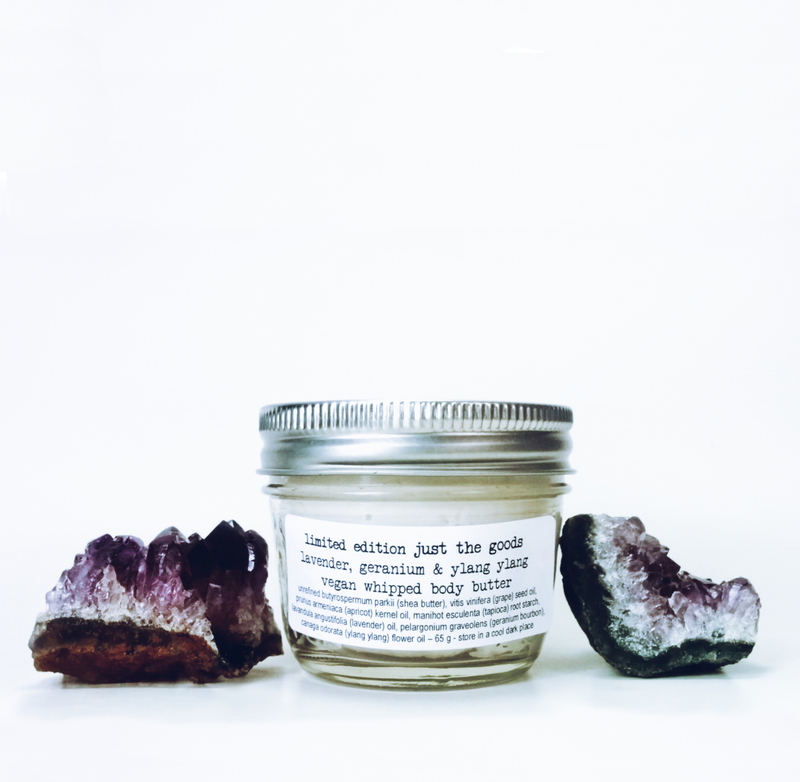 Since Just the Goods products are handmade without artificial preservatives, I purchase raw materials in limited quantities, so I am therefore affected by variations in the marketplace. Please know that prices are subject to change without notice. Thank you! Please note that some essential oils can be quite potent and, even in small quantities, it is often recommended they be avoided by children and during pregnancy/nursing. 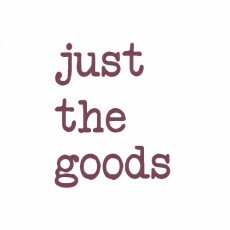 If you have any questions about Just the Goods products, please ask! I’m more than happy to assist in any way possible. Just the Goods seeks to offer affordable vegan products to help them become more widely available, therefore facilitating healthier living as part of increased consciousness about kind living, environment protection, and consumerism in general. Just the Goods does not test any of its products on animals, nor does it commission such testing, because I believe it both unnecessary and unproven to make cosmetics safer for human consumers. Instead of testing Just the Goods on animals, I test all products on myself, and I am joined in this process by many great friends eager to try out my formulas. I am very concerned with how my products rank at http://www.cosmeticsdatabase.com, so the spectrum of ingredients I use have known safety records. The Compact for Safe Cosmetics has acknowledged my choices by granting Just the Goods Champion Status. A growing number of products are EWG VERIFIED. Beyond that, be assured that I would never include in a product something I wouldn’t consider putting on my own body, or giving to people I care about =-). A very large corporation recently contacted me about making Just the Goods products available via their website, which seemed flattering, but more importantly, it provided an opportunity to reflect. Just the Goods believes all people deserve to be treated with genuine respect, regardless of gender, race and ethnicity, sexual identity, and other self-identifying factors, so I consider these values as part of my daily practices, including deciding how and when to collaborate with others. As a result, Just the Goods can only partner with people/organizations/groups/businesses that don’t participate in sexism / heterosexism / cissexism, racism, cultural misappropriation, ableism, ageism, or any other form of oppressive stereotyping because that sort of thing is hurtful and profiting from hurt isn’t cool. It doesn’t matter to me how big a corporation is, I’m not flattered if they cause harm.